As keen students of this blog will know, the idea of an F kit gestated for longer than the proverbial elephant. Having rashly displayed the newborn idea in a more public forum, I now find myself with the task of raising this problem child. One of the many issues besetting this unfortunate infant is a multiplicity of personalities bestowed by the longevity and varied parentage of its antecedents. In short, we have nearly 90 locomotives built by 7 manufacturers in different batches. These were entrusted to the care of various workshops, who wrought sundry changes under directions from head office, or necessity masquerading as idle whim, over a period of nearly 90 years. With the odd exception, all remained instantly recognisable as Fs, despite these challenges. So does anyone care? Undoubtedly there are those for whom coupled wheels and a chimney are sufficient. In my view though, if you are going to spend time soldering bits on, it is always nice to know they are the right bits. So an early task was (and to an extent remains) to sort out the key differences between class members. More importantly to make some systematic sense of this to allow a flexible kit that, at least potentially, allows many (though certainly not all) members of the class to be built from the kit. In this exercise things like sandboxes, chimneys, cowcatchers and similar details are actually rather irrelevant and can be ignored. Whilst they undoubtedly contribute hugely to the look of a loco, they are matters that a simple casting swop will resolve. Of more interest are the visible enduring structural differences that contribute to the individual character of the Fs. So the rest of this post is an outline of progress on this vexing matter. Comments and suggestions are most welcome. If these come before the kit is released that would be even better. The differences I’ve recognised that are likely to be tricky are listed below. These will not be exhaustive. In addition, I have commented on manufacturer’s proclivities, but I have a feeling that some things differed with batch. Many features present on Stephenson locomotives seem not only quite different to the class generally, but also inconsistent between locos from this manufacturer. While this is undoubtedly partly due to an uneven photographic coverage, it does highlight the need to model from established provenance, rather than a broad list such as that below. With the exception of the Dubs and Avonside locos, the Fs were supplied with various round windows, although these were mostly relatively short lived. The Dubs/Avonside windows were well rounded rectangles. Locos were fitted with Dubs/Avonside style windows relatively early, but while the Dubs locos had three windows across the front and rear of the cab, many (most?) locos retrofitted with these windows only had two, like the Avonsides. I haven’t looked at this too closely yet, but the cab skins will be overlays. Not too hard to do two window patterns, but they do start to use up a fair bit of etch space so options here will be limited. The idea will be to provide common options, but to leave open an easy scratchbuild route for those with unusual tastes. 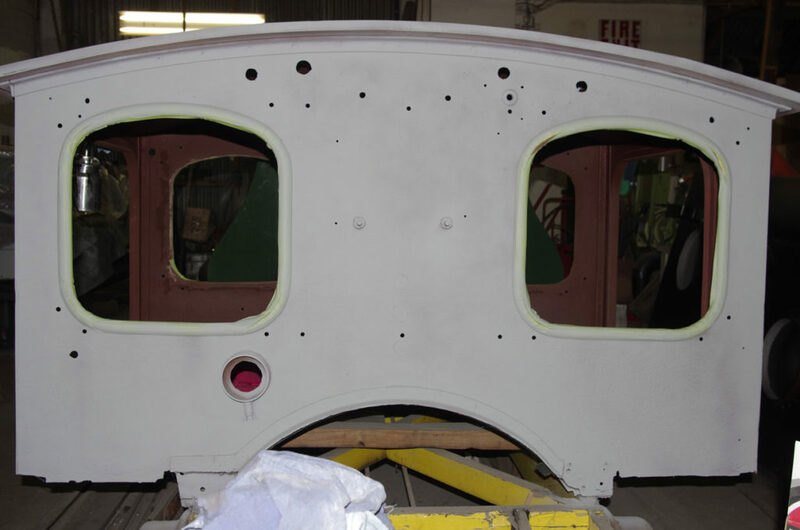 F13’s cab under restoration. Goodness knows how original this is, but it does nicely illustrate the Avonside style windows in a Neilson cab. Every manufacturer riveted their tanks differently. In practice this was undoubtedly a question of where they used flush rivets as the basic design appears to be the same. Vulcan seemed to like visible rivets and these are visible, designer stubble-like, all over their Fs. Others, such as Neilson, preferred a more clean-shaven look. 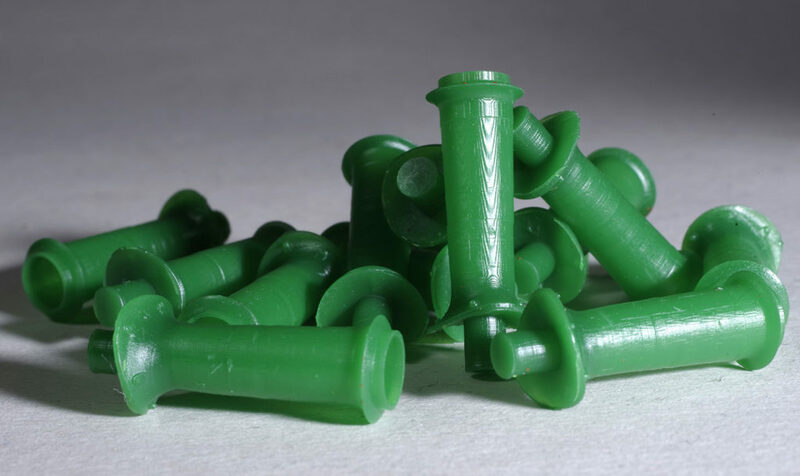 In terms of the model tanks, this is not a huge problem as it is straightforward to produce 3D printed tanks with any rivet pattern. As with the tanks, the cab sides appeared to be one of the areas where the various builders exercised their freedom of expression. As noted above the cab sides are overlays so it is not too difficult to either rivet unriverted blanks or make custom overlays if desired. Neilson, Yorkshire and Vulcan had a horizontal strip joining the cab top and bottom sheets. This carried through to the handrails and is very different to the vertical strip used by the other builders. In reality this was probably just the orientation of an angle iron. This may seem a very trivial issue, but it seriously affects construction of the model cab. I’m not sure how I’ll deal with this yet. Neilson and Vulcan had attractive scalloped side sheets at the handrail, while the others had plain vertical edges. Beading around the cab door opening and windows varied from prominent to non-existent. How I deal with some of the other variants will affect the solution here. Dubs cabs were 4″ taller than Neilson and Vulcan cabs. Examination of photos suggest no other builder used the high Dubs cab, but some may be a bit taller than the Neilson. As the doors are all the same this may be the case of a half etched line to enable the extra height to be easily removed. Again they all differed. Probably addressed by supplying alternative etched steps. This was either an ‘O’ (Dubs and some Stephenson) or ‘C’ shape. The C shaped hangers varied with Vulcan locos having heavy hangers, Avonside light hangers and the others intermediate between the two. As these are cast it is easy enough to resolve. Dubs frames were quite different to Neilson frames, clearly visible under the cab. As far as I can tell all other builder’s frames were similar to Neilson’s, although a 1937 photo of Neilson-built F113 shows it had Dubs style frames at that time. There are a few ways to cater for this, but I haven’t decided on one yet. I’m unsure of the origin of this image of 113 at Ocean Beach in 1937 supplied by Craig Utting (I’ll attribute it if someone knows). F113 is a Neilson, but those frames under the cab are Dubs. Also apparently missing are the springs on the leading drivers – suggesting they are above the axle as per Dubs drawings. The slidebar hanger and cab are Neilson, and the tank is flush riveted. Plenty of details here for the F student. Compensation between the center and rear drivers was fitted to locos by NZR fairly early (Drawing 813A of 1891). The visual clue to this is the large V shaped hanger outside the frames (as can be seen on F113 above). The model chassis uses this point for compensation too, so it will be a feature of the kit frames. Neilson had leaf springs slung below the wheels on all drivers, photos suggest Yorkshire did too. Dubs had leaf springs above the axle on the front drivers. Avonside photos suggest their front springs were not under the axle either. The Vulcan GA shows a transverse spring above the axle on the leading drivers (and thus no springs under the leading wheels). Esoteric perhaps, but if there is light under the boiler the latter would be visible – and it is a convenient way to disguise the compensation on the leading axle. I’ll likely have some representation of the springs behind the wheels too, so something to bear in mind. To sum up from a model building perspective: Neilson locos seemed reasonably consistent. Stephenson’s locos seemed to vary widely and I have found it difficult to be very definitive on any of the variations above. Some Stephenson locos appear to have features that are rare or unique. Attractive without doubt, but hard to support in kitset (see F243 in 1923, Miller pp99). The Dubs family were taller in the cab, with different frames and more windows, so rather characteristic. 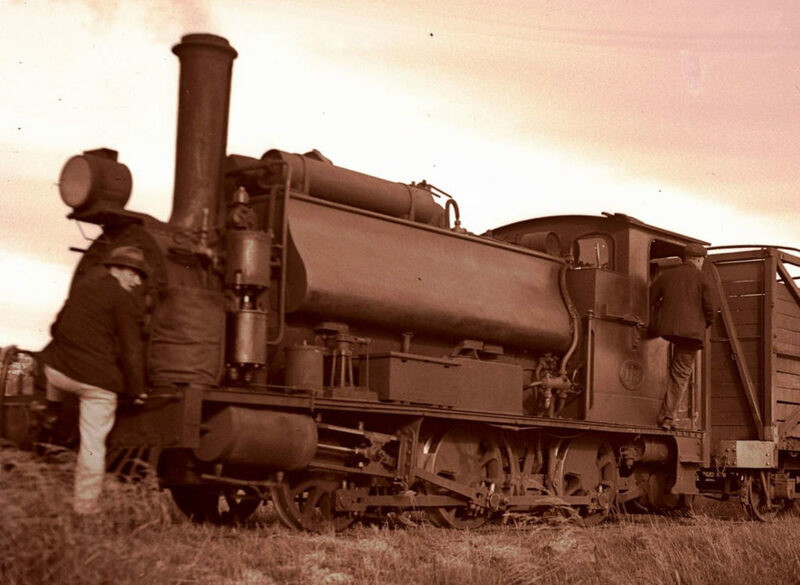 The Yorkshire and Avonside had their characteristics, but the base locos were not hugely different to the Neilsons. Likewise, the Vulcans, while well festooned with rivets, were otherwise quite like the Neilsons. In later years there seems to have been a convergence of appearance presumably due to head office directives, coupled with a divergence doubtless due to local pragmatism. 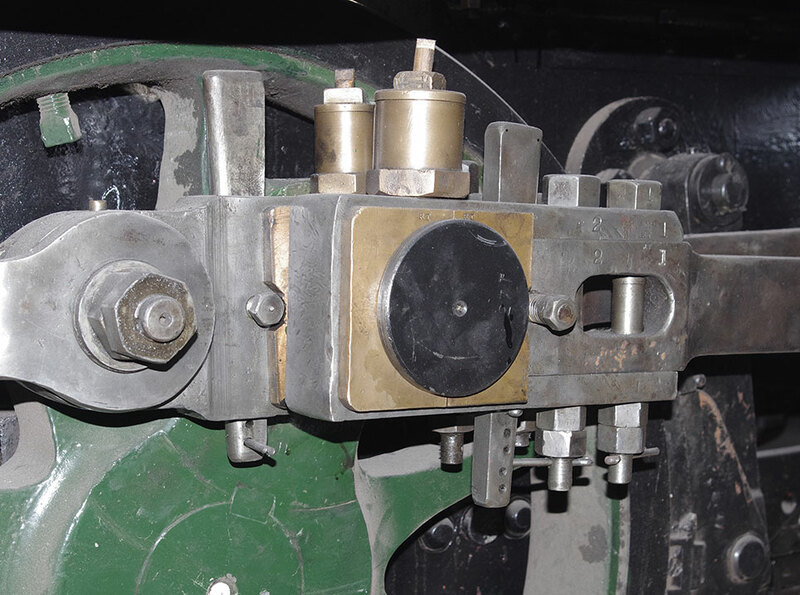 The variety with which brake, electrical and lighting systems were crammed into the limited space on the locos in later life made these features more obvious than the subtleties of rivet variation. This variety is relatively easy to capture by the kit builder. F13’s connecting rod big ends showing that these were changed at some point to a typical NZR style different from those originally supplied by Neilson (and thus different to those carefully and time-consumingly modelled by moi). F113 also features these big ends in the image above. The kit is being designed from a good number of drawings including Dubs, Vulcan and Neilson GAs. At present I have a concept on how the kit will work and this includes drive system and fitting decoders and speakers as well as weight. Most of the body etching artwork is drawn up (for a Neilson at least). Tanks have been 3D printed and proven, and I have also test built a chassis. I have 3D models of over half of the detail castings. Some of these are standard parts, and some have been drawn for this project. Next up will be test etches for body and chassis and a test build and drawing up the remaining patterns for castings. At that point I will solicit expressions of interest and deposits. Interest will dictate which variations are catered for in the final kits. This is not the final word. Everything above has been gleaned from study of photographs and drawings but is a long way short of a definitive study. I’m very interested in feedback, comment or receiving copies of any drawings/photos that readers may wish to contribute to the project. There does come a point where pragmatism dictates compromise. It’s always nice to compromise from knowledge rather than ignorance though. Revision note. An earlier version of this post confused the Vulcan GA with the Yorkshire.